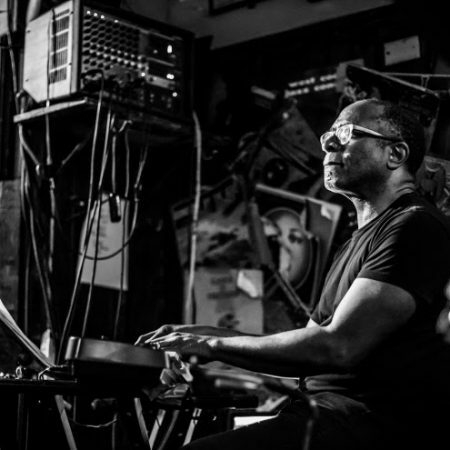 After producing ten albums with Gil Scott-Heron, Brian Jackson decided to continue the evolution of his musical talents in the 1980’s by collaborating with Kool and the Gang, Gregroy Porter, Phyllis Hyman, George Benson, Lonnie Linston Smith, Gwen Guthrie and Roy Ayers. His titles have become classics and his music is taking on a new importance today..
Après avoir produit dix albums avec Gil Scott-Heron, Brian Jackson décide de poursuivre l’évolution de ses talents musicaux dans les années 1980 en collaborant avec Kool and the Gang, Gregroy Porter, Phyllis Hyman, George Benson, Lonnie Linston Smith, Gwen Guthrie et Roy Ayers. Ses titres sont devenus des classiques et sa musique prend aujourd’hui une importance nouvelle.